This historic resolution aims at eliminating corruption at every stage of wildlife trade from poaching to selling of wildlife products. According to the resolution, the parties and regional and international bodies will "incorporate corruption explicitly into their anti-wildlife trafficking work" and "adopt measures to prohibit, prevent, detect and counter instances of corruption and ensure that any corrupt practices associated with the administration, regulation, implementation or enforcement of CITES are punishable as criminal offences with appropriate penalties under national legislation". This resolution comes as good news, especially at a time when global illegal trade of wildlife is estimated to be worth $19 billion per year, and is rising at an alarming rate. Namibia, South Africa and Zimbabwe had put forth a recommendation for adopting a Decision-Making Mechanism (DMM) for a future trade in ivory. However, the proposal faced opposition from countries such as Burkina Faso‚ Kenya‚ Republic of Congo and Chad. Negotiations over the plight of elephants were held at the conference currently taking place in Johannesburg. Although the motion failed to achieve the required two-thirds majority, the issue can be revived in the plenary sessions next week. Pangolin, the world's only known scaled mammal and perhaps the most heavily trafficked species on the planet, has been included in Appendix I. All the eight species of pangolin have been moved to this list for ensuring stronger protection. Species threatened with extinction are listed under Appendix 1. Trade in these species is allowed only in exceptional circumstances. Despite facing intense trafficking due to growing illegal demand for their scales, skin and meat, pangolins had never received the same attention as tigers and elephants. South Africa’s proposal to transfer the Cape Mountain Zebra from Appendix I to Appendix II has been adopted at the COP17. The decision was taken after the population of Cape Mountain Zebra increased from less than 100 in the 1990s to well over 5,000 in 2016. 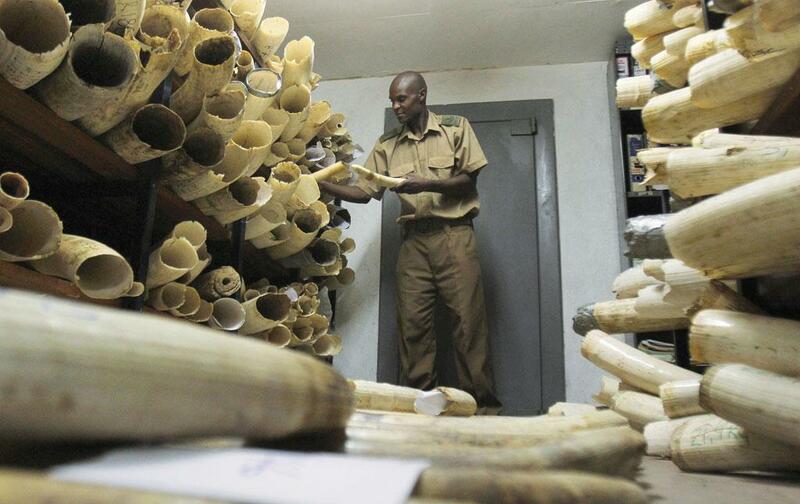 Can we sustainably harvest ivory?